Wow, that was some week. In case you didn’t know, it was Book Blogger Awareness Week. In which I added lots of books to my TBR list and lots of new-to-me bloggers to my blog reader. It was a blast! The boy was pleased to get cheeseburger sliders at Black Angus. I had a bit of a hankering for prime rib and they have lunch specials on Saturdays so that’s where we went. Scribd’s announcment (that they’re doing away with unlimited ebooks! GGAAAHHH!) was the push I needed to start reading all these books (except the Winspear) that I had put in my ‘library’ but hadn’t begun reading yet. Ok so I thought this was a translated book but turns out she wrote it in English. So I am slightly disappointed. But that sounds silly because I’m just glad this book by a Korean author has been making waves. I had seen bits and pieces of it on the plane to Singapore last November but sitting with two kids under five for a sixteen hour flight (and that’s just the first leg) means one doesn’t get to watch the whole movie (or keep one’s sanity but that’s another story). But I was surprised at how adult it seemed. As in I wasn’t sure if this was a Pixar movie a kid would enjoy. Is that why last year they also released The Good Dinosaur? That was the first time Pixar had two releases in one year. I’m not a good meal planner as I never actually stick to any plans I do make! I have a bag of spinach in the fridge though so I may throw that into some kind of baked pasta. I also have some tilapia fillets that I may bake in foil packets, with, if I can get them, some nice asparagus. And happy blog birthday, Andi! What Lies Between Us by Nayomi Munaweera (via Word by Word) – I had already added this to my list after reading Munaweera’s debut, Island of a Thousand Mirrors, but Claire’s review has made me more eager to read this one and bumped it up my list! A ridiculous number of comics, I hope to talk about them sometime this week! Your chocolate bread looks delicious! I’m trying to decide what dessert to make for a church dinner this week. There are too many choices! I’ve been meaning to watch Inside Out. Did your kids watch it at all on the plane? I guess I should watch it before deciding if the kiddos will like it. I want some chocolate loaf now! 🙂 Now that you’ve mentioned Scribd, I need to check and see what’s in my library. I might need to start reading some of my books too. i have heard this expression ‘sliders’ to describe a food item but have no idea what they are….. I am looking forward to reading your thoughts on ‘The Vegetarian’. There is so much talk going on about that. I am more curious now. I cannot handle the food pictures. They make me hungry, and drool like my Boo. 😉 The chocolate one looks super delicious. I am so disappointed with the changes to Scribd. 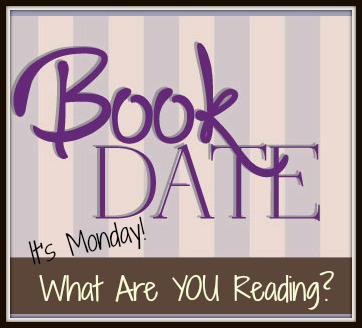 It has completely changed my reading plans for the month! I know!! I was also quite angry. Because going from unlimited to just three?!! That’s why I am reading ALL the comics on Scribd until they restrict it. Just to stick it to them! I have a baffled expression on my face because I too thought The Vegetarian was translated. In fact, someone on Twitter liked my review post and their bio said they were the translator. So confused! Sorry my bad (or wherever it was that I read that Han Kang had written this in English). Turns out it is translated! The Jessa Crispin one looks extremely interesting! I’m going to put in in my TBR pile. An Incomplete Revenge looks good and so does that delicious chocolate bread.